Falling in love with the many gorgeous statues that are made of our cherished comic book characters can be an expensive endeavor. I was personally obsessed with the second Ame-Comi Wonder Woman designed by artist Dustin Nguyen. You know, the one that is an homage to Greg Rucka’s Wondy that decapitated Medusa blind? Yeah. I eventually got my hands on one, but at great cost to a former paramour as in he paid a pretty penny for it. DC’s Bombshells statues are just as admirable, if not more. They’re fun, creative, cosplay worthy and inspire all kinds of ideas… you know, like for a comic book! Writer Marguerite Bennett and artist Marguerite Sauvage team-up to create the female-led, digital-first series DC Comics Bombshells. The digital “shorts” of Bombshells releases on Saturdays, and they released the first printed issue (a collection of the first three short chapters) this past Wednesday. It features World War II era Batwoman, Wonder Woman and Supergirl. Nerds, it’s a charmer. I can’t wait until they get to the chapter that features Black Canary. 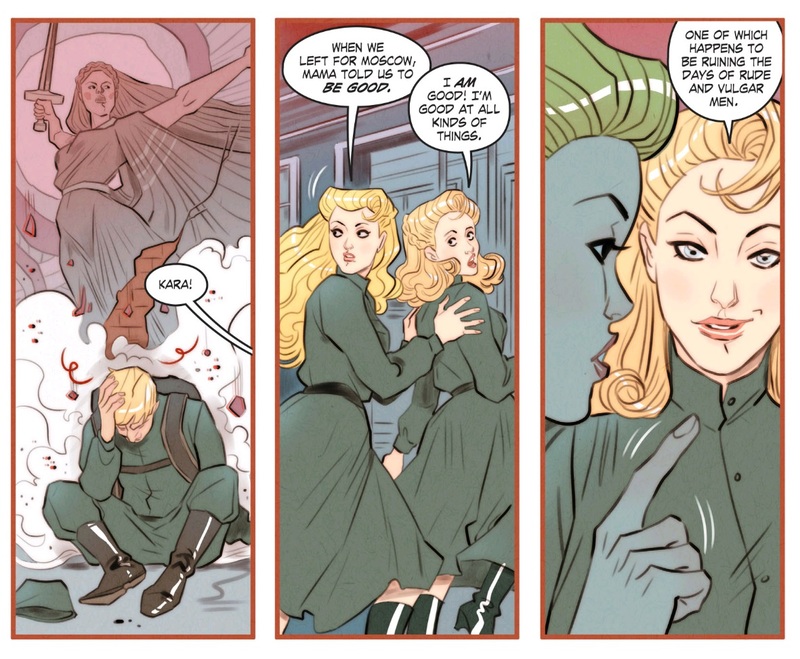 You can read my full review of Bombshells #1 RIGHT HERE.